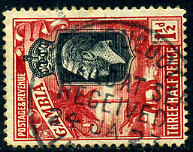 arrival dated 24 JA 23 on KGV 1½d (SG.125). purple 4-line on 2 x KE7 1d piece tied partial PAQUEBOT arrival d/ring. 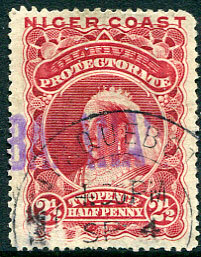 arrival in red ink dated A/JY 25 92 on 1891 100r blue & red Liberty (Scott 109), lower left corner crease. arrival dated A/DE 29 00 on 25c. 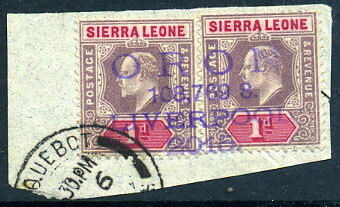 arrival dated 1 SP 12 on pair 5c. 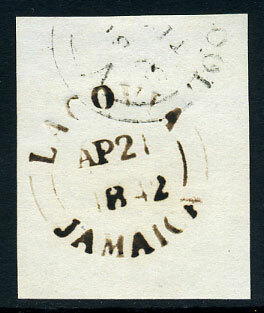 (P2a) dated AP 21 1842 on pre-stamp piece showing Liverpool MY 12 1842 arrival, few examples on full entire recorded.